Give the gift of LOCAL food! Add the certificate to your cart and we'll mail to you or the recipient. Share the unique flavor of our community with the ones you love. 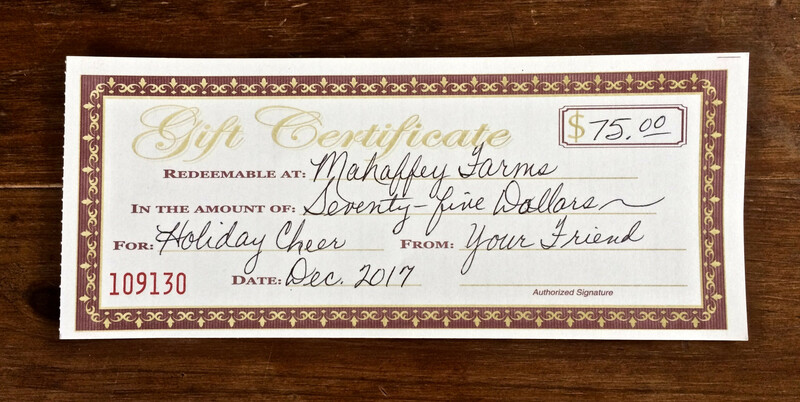 **We can make custom amounts for gift certificates upon request.